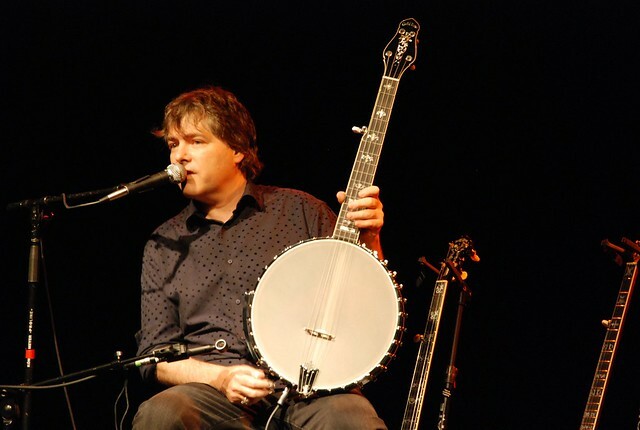 Modern banjo-playing has historical roots that go back over 150 years to late 19th and early 20th-century classic banjo styles, mid-19th-century minstrel banjo styles, and even earlier African musical influences. The idea of stretching a skin tightly across a resonating chamber, attaching a neck, adding one or more drone strings, and playing the resulting instrument in a rhythmical and percussive manner originated with West Africans, who were forcibly imported as slaves to the New World. African and early African-American banjos consisted of a gourd or a carved wood body with a stretched skinhead and usually little more than a stick for a neck. The first banjo-type instruments in the Americas were documented in the Caribbean as early as 1689, and the first mention of the banjo in the American colonies occurred in 1754 (where it is called a "banjer" in a Maryland newspaper). When Africans and Europeans came together in North America, they had enough similarity in their ideas and attitudes about music for a new musical synthesis to occur despite the dramatically unequal status of black and white populations. In large part, the history of American music, from minstrelsy to jazz, rock 'n' roll to rap music, is the story of this continuing convergence of musical sensibilities. white professional stage performers had popularized the banjo all across the United States and in England and had begun their own banjo traditions as they popularized new songs. Because these musicians usually performed with blackened faces, they came to be known as blackface minstrels. Because the minstrel stage depicted slaves and southern life in inaccurate and degrading ways, there are many negative aspects to the legacy of blackface minstrelsy. Nevertheless, as part of America's first nationally popular music, minstrelsy served to popularize the banjo and make it an instrument shared by both white and black populations. With this popularity came the publication of the first instruction manuals for the instrument and the first factory-made banjos in the 1840s. Soon after, five strings became the accepted norm for banjos, and five-string banjos are the norm today.